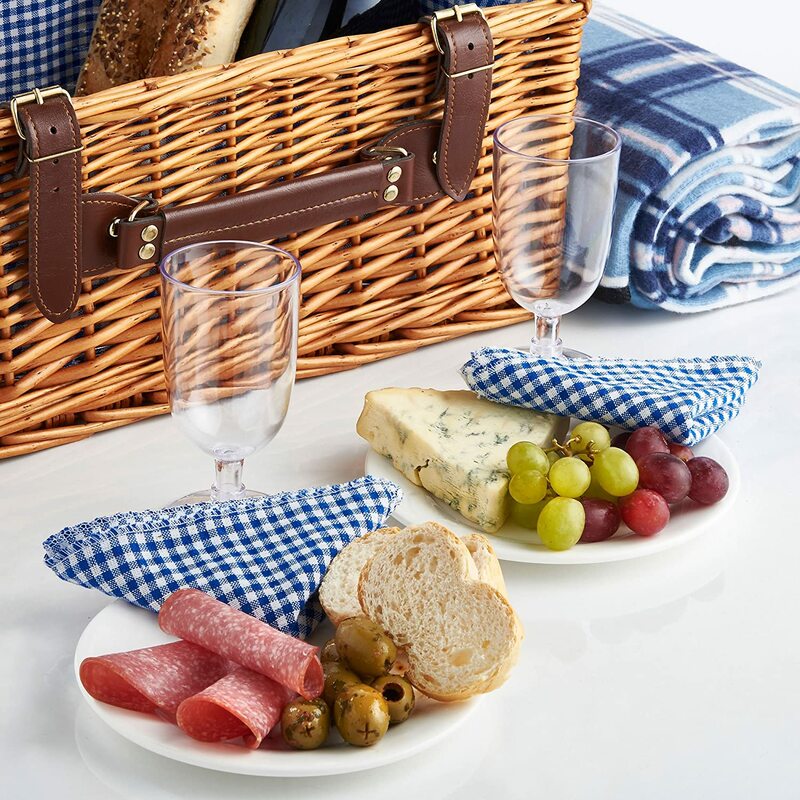 Are you planning a picnic this summer? Picnics are a great idea for getting outside and experiencing the summer months among nature. Maybe you are having a family-fun picnic or something a bit more private for you and a loved one. Either way, you’ll be glad you have these picnic essentials for that next adventure at eating outdoors. Looking to bring a lot of bottles with you on your picnic travels? Instead of struggling to carry all those bottles, and especially for those that are glass, you can easily store and carry them in the WIRES Bottle Carrier. This handy case can hold up to 6 bottles, so whether it is water, wine, soda, or alcohol, you can load this carrier up and head outside. For those healthier cuisine options on your picnic menu, serve them up in style with the Inset Salad Servers. What is really unique about this set is that the fork half can actually fit into the spoon part, making traveling with them even better. Keep those wine bottles nice and chilly as you enjoy your picnicking with the Wine Cooler. This insulated collar will wrap around your bottles and keep the cool in and the warm out so you’ll have a nice chilled glass of wine to pour when the time is right. 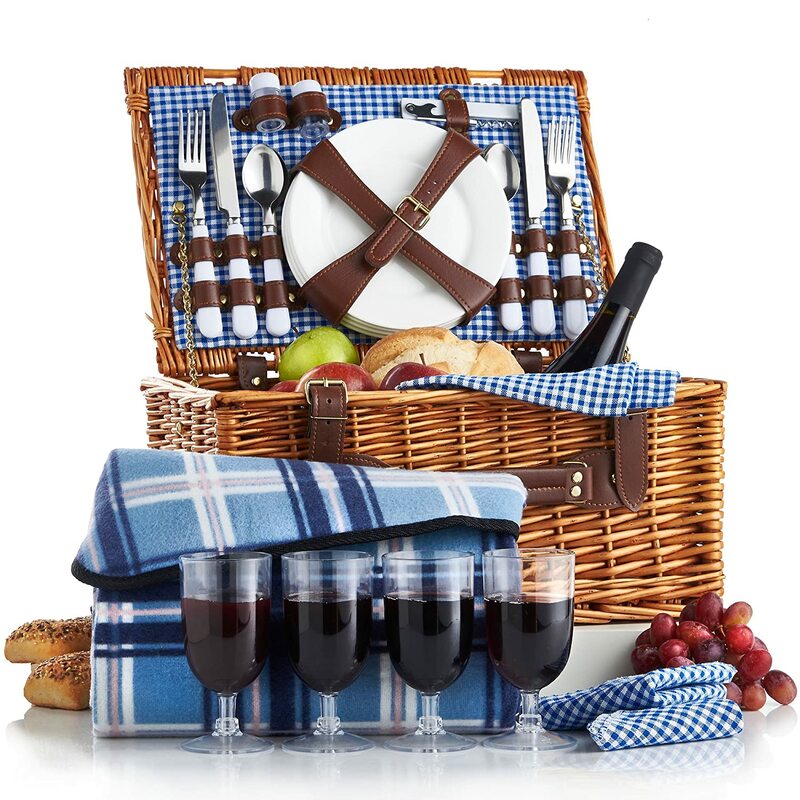 For the ultimate in picnic luxury, you have to check out this Picnic Basket Kit. You’ll have practically everything you could ask for when it comes to a picnic for four. Included are 4 sets of silverware, 4 dinner plates, 4 wine glasses, 4 napkins, 2 salt & pepper shakers, and 1 bottle opener. There is enough space inside this roomy basket to fit all your picnic goodies as well, so just grab your blanket and you’ll be all set. 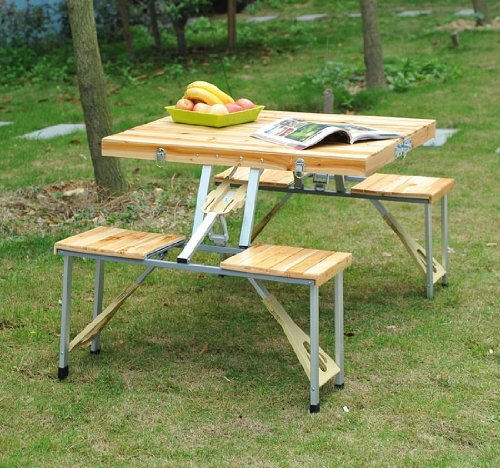 For those who would prefer the picnic without the eating on the ground part, you’ll love this Portable Picnic Table. Now you’ll have a place to eat with you anywhere you go. 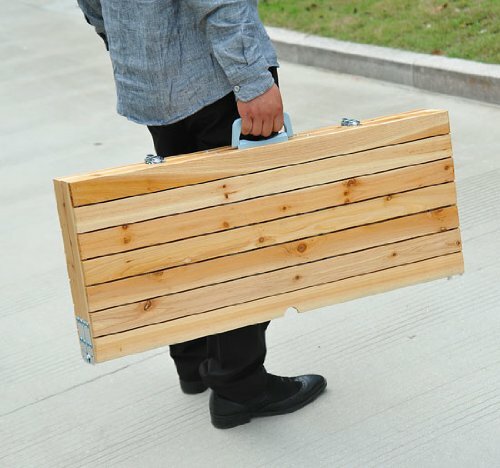 It is durable yet light enough to be carried with you to your picnic site and will unfold easily so you can start eating quicker. Say goodbye to sitting on the dirty ground and hello to a new way to enjoy your picnic time anytime. For those sunnier days when you wish to picnic without getting burnt beneath the blistering summer sun, you’ll be glad you have the Picnic Umbrella. Besides the sun, nothing will ruin a picnic faster than the rain. Never fear getting rained out again with this durable cover that will protect you from the sun and weather. 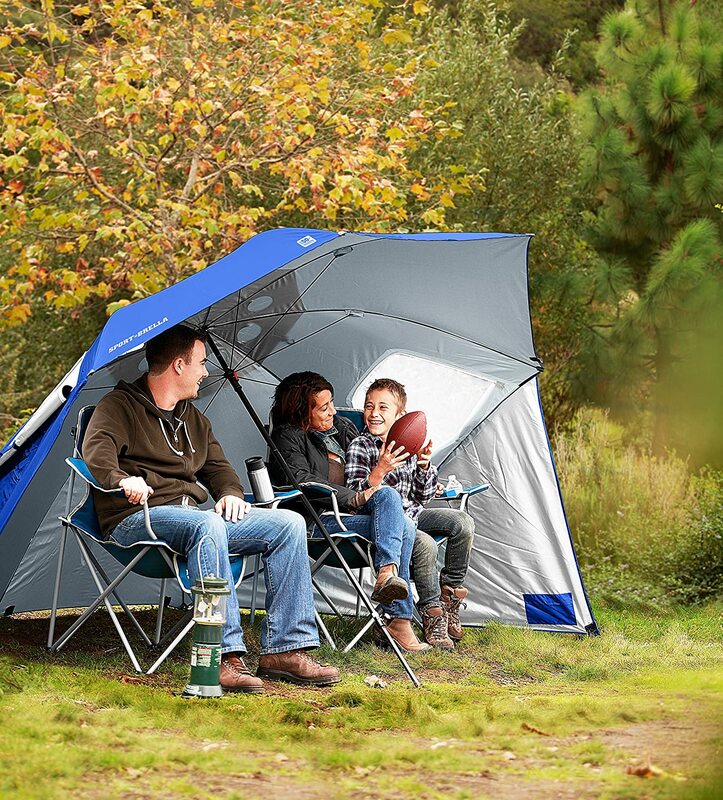 Portable and easy to set up, you’ll have plenty of room underneath this spacious umbrella to fit the entire family on your next picnic outing.